Read the Bible in 4 months! I'm issuing you a challenge, but don't worry it doesn't mean that I'll sit on the sidelines and just monitor, I'll be doing it right along with you. It's not scary, well maybe a little but for the right reasons and I think it's one that will bring far more rewards and benefits than if you don't do it. Today a challenge was made to me on an email group I belong to, the writer challenged us to read through the Bible in 4 months! WOW I thought...at first I said to myself....no way could I do that! But when I read further in the email I realized it was only 12 chapters per day. Four chapters 3 times a day OR Three chapters 4 times a day. That is so reachable. I read easily 12 chapters of other books everyday. WHY can't I do the same in the Bible? There is NO reason why I can't! And all I can say to that is AMEN! Let's face it, I'm not going to lie and tell you that I've read the whole Bible, I haven't. I'm not going to lie and tell you that when I start reading it that I find it absolutely fascinating and can't put it down like a fiction novel, because I don't. 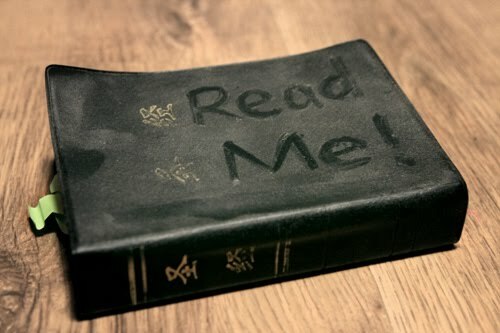 It doesn't mean that I don't like the Bible or that I don't enjoy the Lord's word, it means FOR ME, that I have a hard time reading through it because at times there are just way too many things in there that I just don't comprehend. 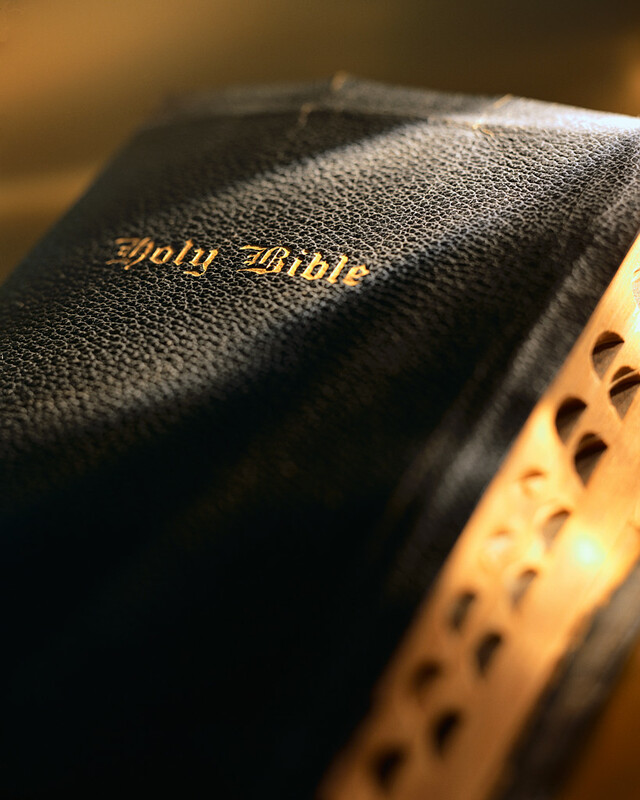 I can zip through a novel, I can zip through cookbooks, but why can't I do the same with the Bible? I envy those that can recite by heart all the scriptures in the Bible, that know every single book, who did what, who went where. Oh I'm not completely oblivious, I have read the Bible before just not in it's entirety and I do know most of the names in there and I do have one or two scriptures that speak to me. But it's not the same as those who have read it all, who know it like the back of their hands. So I'm taking the challenge, I can still read my novels and my other books, but I can also add the Bible to my reading time, and that's exactly what I'm planning on doing. I plan to get to December and proudly announce, here on my blog and for anyone that will listen, that yes, I Sandra have finally read through the whole Bible! I'm actually going to change my template to include one or two sidebars so that I can have this recorded and will cross it off as I read. IT will help me stay focused, but it will also show you that it can be done. Believe me, if I can do it, YOU can do it too. So what do you say, are you up for the challenge??? I have a lot of picture frames, some are being used for wonderful family photos, others I tend to just have laying around with nothing particular in mind. I decided to look around online and see if I could find something neat to do with these frames, something that would be either free or pretty inexpensive to do and I found just what I was looking for, at Make and Takes. How about a Wipe Off Weekly Menu Board for your Kitchen???? And while you're at it, a big one for Chores???? I couldn't believe just how easy this project was, I had everything I needed at hand. Put your patterned paper inside the frame. Replace the back. That’s pretty much it. You can see that mine is not exactly perfect, I used supplies I already had on hand and that meant running out of some of the letter stickers, but it still looks great. I also used red and white paper to match the red theme in my kitchen, the great thing about this is that I can always change it out if I redecorate or even go with themed paper for the holidays. I used washable markers to write the daily meals on there, when it's time to change, I just wipe those off and write the new ones in. Easy Peasy and the family knows where to go and look instead of asking me "what's for dinner tonight"...."what are we having tomorrow". I also had a HUGE picture frame that I bought at Goodwill for $1 or less, can't even remember, but I don't even know why I got it, now I'm glad I did. I used a bunch of scrapbooking paper in green and beige, wrote Chores in a gold metallic pen and called it good. It was the first thing the kids noticed when they walked in from school. I'm going to use it for my own housework chores as well as for the kids chores. I'm thinking my next one will be a To Do List. The possibilities are endless and if you think about it, you can use frames you already have at home or you can get the ones from the dollar store or at your local goodwill. Good Morning Ladies, welcome to another edition of the Happy Homemaker Monday, I'm so thrilled to see some familiar participants and also some new ones. I wanted to take this moment, right before the Meme, to put forth a question to you all....I want to know if there are any ideas you have to add to this meme, any new categories you would like to see added? The temps have been going up and down lately, actually got down to high 80's the other day and it felt SO good. I have two recipes that need to be posted on my food blog. If you like Chourizo I have these wonderful Chourizo Bread loaves that are super easy to make and delicious. Cooler temperatures, though I really wish we could be heading into fall already. I actually went through and read as many as I could, though I'm starting to lose the battle again from being sick and not online as much LOL I don't have a favorite, sorry. Mousy Brown's House - such a cute blog, I'm enjoying going back and reading all the entries. Not really a lesson learned but more of a reminder that having fun with your family doesn't have to be at an expensive place or anything elaborate, something as simple as exercising can mean fun for everyone. My children, my family and God. Exercise doesn't have to boring! We all want to feel better about ourselves and to lead healthy lives, but honestly, who likes exercising? I can tell you that personally, I would rather sit on the couch with a good book or a good movie than to go out and get all sweaty and achy, even if I know the benefits it will bring me. One thing I've learned over the years is that exercise does not have to be boring, especially when the whole family gets involved. It doesn't have to be anything extreme, but merely walking every night around the neighborhood, or playing a game of tag with the kids. One things we like doing as a family, is going to the Track on base, Curt and I will jog/walk and the kids will either jog along with us at their own pace, or they will ride their scooters. The good thing about our track on base is that it has a playground for the kids too, so when the kids get tired they can just go play while you continue on. The time you spend with your family is precious, and it should be enjoyed to the fullest, whether you're just hanging out at home or working together, or exercising. It doesn't hurt that we're also supporting this wonderful man, who just like many others has to work hard everyday at staying fit. He has his military PT test coming up any day now and with the new standards and regulations, the guys are finding it harder and harder to pass. So please keep him in your prayers. It's hard to think that a man who has devoted his life and given 19 years to the Air Force, could pretty much lose it all if he fails the PT test. I find it ridiculous, but what do I know, I'm just a military wife! because it's a Saturday, and Saturday's are the brought to you by the same people who bring you porch swings, big glasses of Iced Tea and Family time. I'm feeling so much better, thank you all for the thoughts and prayers. I think these summer colds are worse than the winter ones, but on the other hand, I seem to get over these faster so it's all good. I've been taking it easy, relaxing, resting, keeping hydrated and consuming loads of vitamin C and liquids and broths. I'm well on the way to recovery, minus a nagging cough but that's ok.
One of my favorite summer time beverages is Iced Tea, or Sweet Tea as it's known in the South. It doesn't last very long in this house, matter of fact I always feel like I'm refilling the pitcher or jar. Which brings me to this question.......have you ever made Sun Tea? It's definitely a southern favorite, though admittedly I've never been to the south but I'm a huge fan of all things Southern. Because I have an it's delicious, though there has been some controversy about how safe it is to drink because of the water and so forth. I always make it with filtered water and honestly, it doesn't last long enough to worry about it going bad. I may as well make use of the hot temps here in Arizona. It's super easy to make so here's a quick recipe if you want to try it for yourself. Ohhhh I'm so sick.....summer colds are the pits. There's been a whole lot of tea and vicks and tissues around this house, just hoping this feeling of awfulness goes away so I can get back to normal blogging. 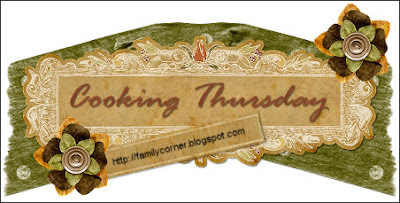 In the meantime, here's the Cooking Thursday! I really despise the hair that seems to infiltrate into every nook and cranny in my house. If I could have shaved hairless dogs and get away with it, I would. But I don't think they would appreciate it and let's face it, I love them furry and sweet. It's a constant struggle in the house to keep it fur free, and I don't think you ever really do, but other than having to vacuum my floors and furniture every single day, I was really at a loss of how to get rid of it. It's not that I mind the vacuuming but it does get a little annoying and tiring after a while. I had been looking for the right tool for this job and I remember seeing a couple different things here and there, I tried the tape method, I tried the dryer sheets but really, it wasn't working for me. Then one day we were at Walmart and Jasmine found this cheap little rubber brush in the pet department, it was under $3 (though now they're going for $6, but still inexpensive) and I thought, well why not, I've tried everything else I may as well try this. Oh boy, I LOVE it and if you're a dog lover minus the fur, you'll love it too. I honestly didn't think it would work that well, it doesn't look like it does much but, it does, and since we're all about sharing and helping each other out here in blogland, I just knew that I had to tell you about it. It's called the Pet Select 3-in-1 Pet Hair Remover and it works on your pet or on furniture or carpets. I've tried it on all 3 and it works wonders. Let me show you what my couch looks like every single morning because the pugs have been sleeping on it. It may not look like it, but that hair is EVERYWHERE, including the back cushions and arms, it's annoying and with my allergies I don't even dare sit on it. It doesn't take much effort at all, it's like magic, that hair comes right off and you end up with a huge ball. I love love love this brush and I couldn't wait to tell you all. You would be surprised just how much pet hair you'll find laying around. I've also used it on the bedspreads because the girls tend to jump on there during the night to sleep, it also works brilliantly. I've used it on the area rugs and same thing, pulls that hair right off. So, if you've been looking for the right brush to help keep all that pet fur under control, this may just be what you're looking for. Give a try, I bought mine at my local Walmart Store but the link I'm giving you says it's only available online, not sure why. I would have a look first at your Walmart. And if you do try it, let me know what you think. Still really warm here, it's around this time of the year that I start missing Idaho and the cooler temps. New Ghost Hunters Season starting on Wednesday.....does that count? I just hit Mark All as Read on my Google Reader, I have fallen behind on reading and there's no way I'll get through 1000 + posts. Same thing I learn every year when the kids start school.....that I can't protect them from the germs no matter how much I try. They've only been at school for two weeks and already I have one with sore throat, sniffles and cough. BLECH! My kids not feeling too good, they're well enough to go to school but I just hope they get better soon. I hate seeing them not well. I'm a firm believer that a picture is worth a thousand words, and so I thought it would be easier to show you what my Sunday has consisted of so far. I love Sundays, matter of fact I just love weekends in general, I like the whole vibe, the easy going, no schedule and no planned activities, wake up late, ponytail, no make up, flip flops kinda day. It's all about eating whenever you're hungry, having ice cream sundaes for dinner or watching a movie or two or three. The cookie jar has been replenished, with chunky yummy Chocolate Chip Cookies. Dishwasher has been emptied and refilled and it will be emptied AND refilled again tonight. It's never ending is it? Laundry abounds, piles and piles on the laundry room floor....the cycle of pop in the washer, pop in the dryer, pull out and fold, put away....and restart all over again. When all is said and done, for the time being, I plop on the bed with a good book and restore my soul, for I know that within an hour we're back to the same routine and the same activities. But I do it with a smile on my face because it's Sunday, and if I don't feel like repeating the same chores, guess what? I don't have to, because there's always tomorrow! #1- Contentedness and complacency are two completely different words and it actually took me quite a while to find the difference. #2- Moms don't know everything, it's a constant learning experience and I'll never be perfect, but I'll always strive to do my best, it's all that matters. #3- Being brave enough to love and trust is one of the scariest things in the world, but also one of the most rewarding. #4- Worrying is a fact of life, it doesn't make me weak, it makes me human. #5- Even when everything feels as if it's falling apart, we can and we WILL get through it because things always do get better. #6- There's nothing more satisfying than time alone, it's not a big "no no", it doesn't mean you are unsocial, it means you need a break and as a mother it's always hard to take time alone without feeling guilty. #7- You're only as old as you feel. #8- Don't envy others, it's not worth it because we don't and can't know what their lives are and what they're going through and when we think that someone may have it all, they may just be missing the most important aspects of life, like God and love. #9- I am not my hair or my weight or my eyeliner. I am my smile, I am my sense of humor and I am ME. #10- I can and do strive towards living a life of simplicity. #11- Not everyone is the friend you want them to be, but every single person I've met is someone who has impacted my life in one way or another. #12- It's alright to cry, it's alright to have a bad day, it's alright to wish for your childhood and for things to be the way they were, to not have responsibility or to have to be the one to make the hard decisions. It's alright. #13- Tastes change as you get older. I used to love tomatoes and now I can't stand them. I used to love socializing and now I'm a home body. I used to love talking on the phone and now I cringe when it rings. The kind of music I like, the kind of shows I used to watch, they all change and come and go, and I am fine with it. #14- Take time to tell those you love how you feel, life is too short and you don't want to one day regret not saying it. #15- People don't change, no matter how much you want them to, so you either learn to accept them for who they are, or you move on. #16- It's all in the journey and how you get there. #17- Love yourself, laugh at yourself and accept that you're not perfect....I've learned to embrace my flaws and be ok with them. #18- Not everyone is going to like you and that's ok.
#19- It's ok to outgrow things, likes and even people, it doesn't make you a bad person. #20- It's ok to have doubt as long as you don't let it dictate your life. #21- I have learned that every single thing I've gone through in my past, all the "failures", have become the road map to my life. #22- I have learned that you either do it, or don't, there is no middle ground. #23- I have learned to take care of myself, because if I'm not well I can't take care of anyone else. #24- Laughing is more fun when it’s really, really loud. #25- Sometimes the love and support you need comes from the most unexpected places. #26- I have learned that when I married my husband, I married the whole Air Force. #27- As hard as it is to accept, I've learned that I'm my children's mother above all and not their best friend. #29- We are never alone, even when it may seem we are. #30- Dancing in the living room is just as fun as dancing in a club. World War I is raging all around German conquered Belgium in 1916 but the Belgians refuse to be defeated. Hope is found in an underground newspaper, “La Libre Belgique”; it keeps “patriotism alive and bring[s] hope and real news of the war to the occupied country.” Edward Kirkland is determined to keep the press rolling and risks his life to do so. Socialite, Isa Lassone, escaped Belgium with her family at the beginning of the war. She has returned to rescue the man she has loved from afar since she was a child, Edward. He refuses to leave but encourages his family to escape with Isa. They refuse. Soon, Isa is drawn into the world of the free press and hopes Edward will finally see her as a woman. When the Germans close in on the illegal paper the duo is forced to make sacrifices. I love reading, I love books and I love history, so when I find a book that seems to have all of those in one, I find myself unable to put it down. So it is with Maureen Lang's newest book which is set for release September 1st. 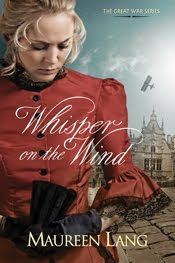 Isa Lassone is the main character and I loved her throughout the story, it doesn't hurt that it all takes place in Belgium during World War I. I found myself rooting for Isa and for Edward who we are introduced to right off the bat. Edward is the man Isa loves and both have chosen to risk their lives to bring information to the public, to let the people know what is really going on and what the Germans are doing. The story is so well written, it keeps you glued to the pages and you find yourself going through a roller coaster of emotions, you laugh and you cry and you just keep wanting more and more. Thank you to the wonderful folks at Tyndale House Publishers for sending me an Arc. I was recently contacted by the wonderful publishing folks at The Secret Mountain and asked if I would be interested in reviewing two children's books, of course I had to say yes seeing that we're a family who absolutely adores books. With narration by Grammy-nominated and world-renowned Brazilian artist Bebel Gilberto. The narration is interspersed with classic recordings from jazz and swing legends including Ella Fitzgerald, Duke Ellington, Cab Calloway, Fats Waller, Lionel Hampton and more. 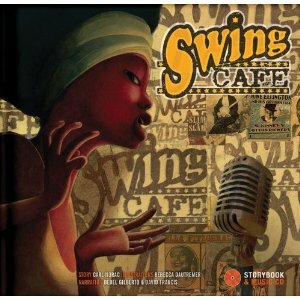 Swing Café is written by Carl Norac, award-winning author of more than 40 children’s books, including the Publisher’s Weekly bestseller, I Love You So Much. In September Secret Mountain will release Swing Café, originally produced by French Publishing House Didier Jeunesse. Stringer had the original text translated by Montrealer Jacob Homel, then created an English version with author Carl Norac, illustrator Rebecca Dautremer, and narrators David Frances and Brazillian-American world music artist Bebel Gilberto, a longtime resident of New York. Swing Café tells the story of Zaz, a wee Brazilian cricket that dreams of singing live in the big apple. After hopping a ride to Manhattan, Zaz eventually makes her way to the Swing Café, where she takes to the stage thereby fulfilling her dream. 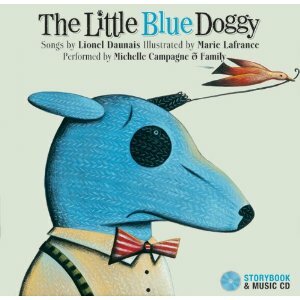 In the title song and story of this musical collection, a stuffed, woolen puppy falls victim to famished mites after having been left at home alone while his parents go to see an exhibit of humans at a local park. Upon their return, they discover his red, soggy, cotton tail on the floor and are faced with the challenge of putting him back together. Lionel Daunais’s lighthearted rendition of this song was a popular radio favorite in French-speaking Canada in the 1950s. The additional 12 songs in this storybook-music CD are off-the-wall fun for the whole family, full of clever word play and many strange creatures, including a bird who is part kangaroo and part rooster, a tortoise named Sue who goes around town without a shell, and a hard-headed hammer who has gone bonkers. I have to be honest, when I first saw the book I thought, this is adorable, and I flipped to the first page. Nicholas sat at my side and he had a huge smile on his face, I mean, this was such an adorable little knitted blue doggy with a tail made out of red rags. Seems great at first, but as the book progresses, the little blue doggy gets locked in a broom closet while his parents go off to the park to watch Humans on display. That wasn't so bad, I mean I can understand, it's reversed, like when we go to the zoo. But the poor little doggy ends up being eaten by mites in the closet and at this point Nicholas had this disgusted and shocked look on his face. I admit that I thought "eewwww".....but it only lasted about 2 seconds because then we started laughing as the doggies mom begins to knit him again. We did enjoy the CD which comes with thirteen songs and I think that was what he enjoyed the most, funny, silly little songs that will have the kids clapping along. All in all it turned out to be quite a cute book and Nicholas favorite line was “And so they snuffed his lovely tufts, they feasted down on every crumb. They shaved his head, ate all the thread, and, lastly, they nibbled his bum.” He got a good chuckle out of that one. The wonderful folks at The Secret Mountain were kind enough to provide me with a free review copy of books as well as press releases and other information, but all opinions and thoughts are 100% mine. I've been super super busy lately and so, haven't had a chance to blog read or comment or nothing at all. I sorta kinda wish the days had like 36 hours in them, cause lately it seems I can't get anything done around here. Anyway, in between all my busyness I've been cooking up yummy goodies for the family, like this one, this Blueberry Cobbler that we had for dessert last night. I'm just gonna enjoy every last morsel of it, right down to the purple teeth. Go on over to Full Bellies, Happy Kids for the recipe. I dare you! Butter Chicken was phenomenal. You can find the recipe on my food blog. I have absolutely nothing today, I know I know....I just didn't get much sleep last night and I'm drawing a blank. No blog reading, matter of fact, I'm about to hit READ on all my 1000+ unread blog posts. I just keep being reminded that I'm over 35 and that my weight does NOT drop as fast as it used to. It's frustrating to say the least but I guess it comes with getting older, I can no longer just pop whatever I want into my mouth and not worry about those extra pounds. All the housework I have to muddle through this morning while feeling exhausted.